Of all the wonderful parts of your Wedding Day, the music is one of the things you will remember most. Ah, the wedding day, the most important celebration of couples life. It is also one of the most stress-laden times as there is so much planning to ensure that the day is nothing but amazing. Ranging from flowers up to the guest invitations, the couple must be guaranteed that everything runs smoothly. Music is the soul of the big day- it tells the guests when to dance, when to enjoy their subtle talks, and even tells the newly wedded couple when to have their first romantic dance. Music directs the flow of the event. 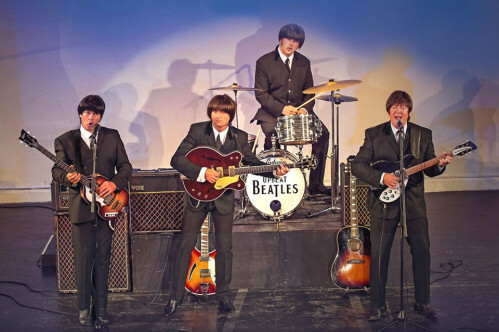 The Upbeat Beatles makes sure we cater to the needs of the bride, the groom, and their guests. What we do is we make sure we play what the couple and your guests want to hear! In order to assure that, we require a little bit of participation from the couple to do a relatively easy task. Do a quick email blast to all of the guests and ask them what their favorite DJ track of all time is. After that, the couple also provides at least a dozen tracks that they love, keeping it to about 45 tracks including the guest’s suggestions. After the main contribution of music we can now take care of everything. With the addition of the DJ package, our DJ will add up another 15 tracks, these will be dance floor fillers. This will be a total of 4 hours fun-induced, totally enjoyable, mood fitting music. Now, no need to worry about the timing of our DJ: that’s our little trade secret! We know when and how to cue the music to fit the mood. When the guests start to arrive, our DJ doesn’t start with loud overpowering music before they have had a chance to talk to the happy couple and ask fellow guests how well the day went. We start with something mellow to fit the start of the occasion. So after the speeches, lets’ have some cool music (we have plenty of suggestions) not too loud but creating the right ambience. The evening guests and day guests can mingle and be given the opportunity to talk to the happy couple something they have been waiting for all day! We can now set the scene for the evening’s entertainment. When the vibe is right the DJ will start “hotting” up the music. After 15 minutes the happy couple will cut the cake and go into their first dance it’s the moment the couple remembers for the rest of their lives. There is nothing wrong in having two first dances-one with the DJ and another with the band. Everyone will be taking photos of the lovely couple having their first dance and this could be the picture that sits on the mantelpiece for the rest of their lives, so if they don’t capture it on the DJ dance they will with the band. 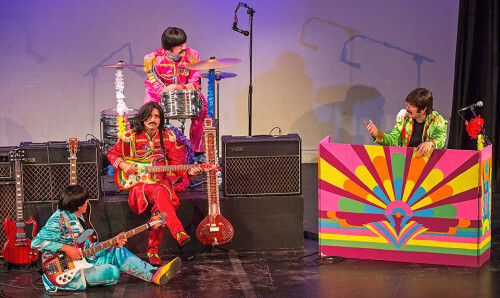 To top it off, the band can play And I Love Her one of the best Beatles send-off ballads of all time. Next would be the bands set. Leading up to the wedding, the couple would have already thought of a rough guide as to when the band will come on. 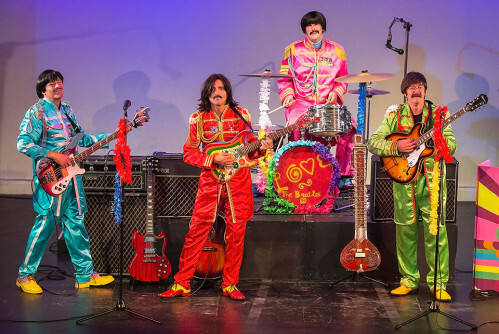 Since the band has played at literally hundreds of weddings, The Upbeat Beatles will know their perfect cue as to when to kick start the audience towards a wonderful night of partying. 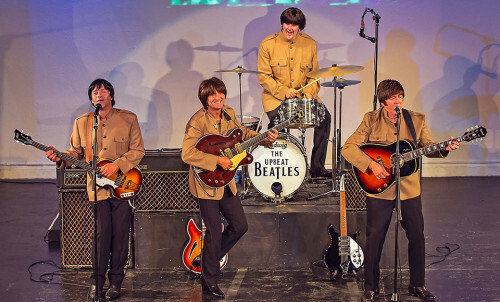 The most important thing the band does is “read” the audience, alternating from a super hyped song into a slow song can be delivered with seamless effort to the delight of their guests. We’ll liaise with the couple and their chosen venue to plan the evening exactly as they want it. 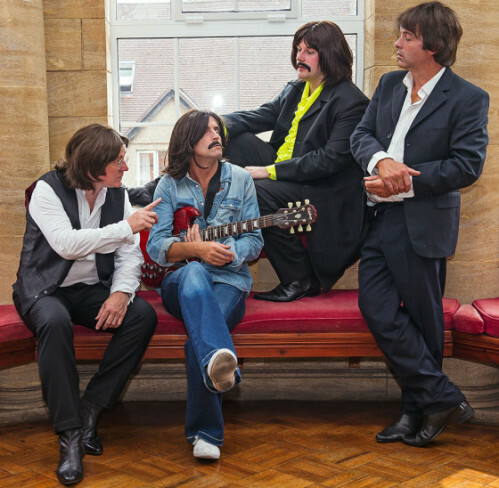 The appeal of the Beatles spans all generations and we take you through all of the different eras of the Fab Four’s music – from ‘Upbeat’ hits such as ‘Love Me Do’, ‘She Loves You’ and ‘Twist & Shout’ to the Sergeant Pepper days to the moving ‘Hey Jude’ and ‘Let It Be’ – all guaranteed dance floor fillers with old and young alike. Have a look at some of the testimonials above!